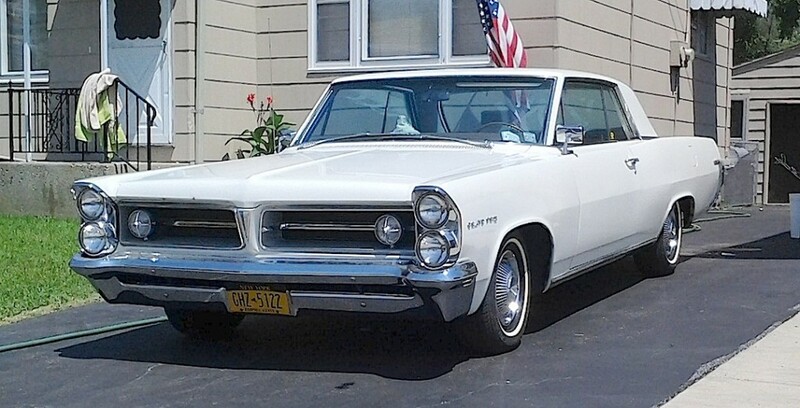 The brochure called the 1963 Pontiac Grand Prix “…grand touring in the best North American manner.” Different styling and interior appointments grafted onto an otherwise normal everyday large, two-door hardtop ushered in a new genre of automobile — the personal luxury coupe. Some may argue that this disctinction belongs to the original Buick Riviera and Ford Thunderbird, but I say that the Grand Prix made it more affordable to the masses: Pricing — GP, $3489; Riv, $4333; T-Bird, $4445. You decide. I see this one every so often in Kenmore. Jim Corbran, RRofWNY …and check out our Facebook page: Un-American Classic Cars The post RealRides of WNY appeared first on Buffalo Cars.